England face Croatia shortly in the second World Cup 2018 semi-final to try and make their second World Cup final since 1966. 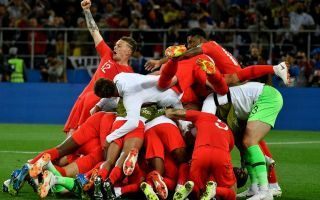 The World Cup 2018 has been a brilliant spectacle thus far, and Gareth Southgate’s team will be competing in their first semi-final since 1990 and will be looking to join France in Sunday’s showpiece event after Les Bleus beat Belgium 1-0 last night. England reached the semi-final after they defeated Sweden 2-0 with goals from Dele Alli and Harry Maguire. Mateo Kovacic was tipped to start for Croatia, however the Real Madrid star is on the bench. The good news for Gareth Southgate is that he has no injury worries tonight and names an unchanged XI with Harry Kane and Raheem Sterling leading the line again. Jamie Vardy was a fitness concern ahead of the game with a groin niggle, however, he is okay once again. Subasic, Vrsaljko, Lovren, Vida, Strinic, Brozovic, Rebic, Modric, Rakitic, Perisic, Mandzukic.